I just love Mary’s books. They are always so much fun and also suspenseful. Its seems each book shines forth some of Mary’s country girl self and lets us all know that she has a playful adventurous heart. It is always a joy to read her books and this new series will not disappoint anyone. Have you ever thought what it would be like to live as a man, just to fool others ? Well these Sisters take it to the limits by fighting in the war and then homesteading as men. Do they enjoy this ? Well I think one might really enjoy it. Will any of them change their minds and long for love and marriage ? Could any man really win their hearts, after all they have had to be strong and courageous living as men for so long. You will want to saddle up and get your own copy of this first book in the series and see what trouble they get into… I would highly recommend this to anyone looking for a light hearted adventure and some really love ? Did I say love ? Hurry now ya here and get to the store or amazon to get yourself a copy ! 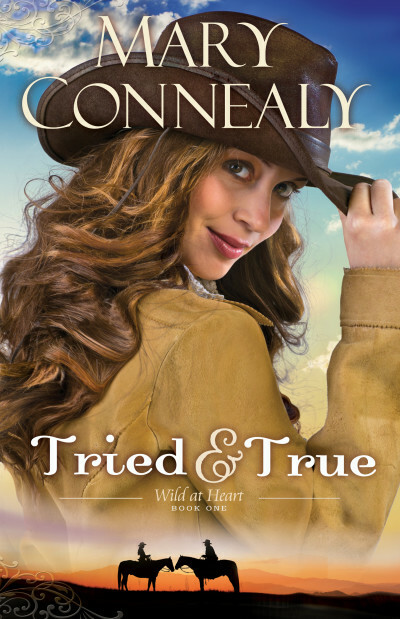 This entry was posted in Book Reviews, Mary Connealy, Reviews and tagged Homesteading, Mary Connnealy, Tried & True, War, Women Dressed as Men on September 26, 2014 by Linda Marie Finn.